We want you to keep your teeth! That’s why preventative dentistry is a focus at Oxford Street Dental. We take the time to educate our patients (especially the kids) in good oral hygiene, nutrition and long-term dental health. And we recommend everyone has regular professional dental cleans. Remember: prevention is a lot easier – and cheaper, than cure. And, if you have dental health insurance, you may not even have to pay a thing! NB: we are an HBF Member Plus, Medibank Members’ Choice & HCF ‘More for Teeth’ provider. Your child’s first visit to the dentist should be a fun, positive one as it can drastically affect his or her opinion of the dentist for years to come. 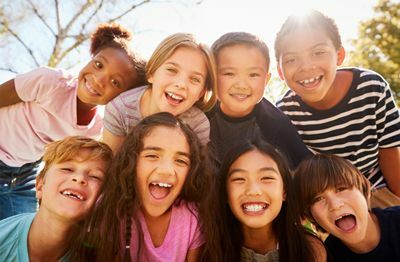 Oxford Street Dental always ensures that children have a relaxed, positive experience. We deliberately take our time with them, explaining what we’re doing and why. We also help educate children in how to brush, floss and look after their teeth. More good news: we’re just a six minute walk from Aranmore Catholic Primary School! Got private health insurance? Is so, there’ll be no gap for you to pay. Plaque – a soft, sticky substance that is made up of a collection of bacteria. You can help eliminate the buildup of plaque by regularly brushing and flossing your teeth, but not all plaque can be removed thoroughly unless you book in for a professional clean. Calculus – effectively hardened plaque, this is a hard, calcified buildup that cannot be removed by brushing or flossing. Calculus must be removed by a professional. Stained teeth – over time your teeth become stained through drinking tea, coffee, red wine or smoking, leaving a sticky substance that has to be professionally removed. The nice thing about having a scale and clean is that your teeth will not only look whiter and brighter but will feel far smoother and cleaner, too! TIP: Aim to have your scale and clean every six months. BONUS: If you have private health insurance, you may be entitled to at least one free scale and clean per year. Check with your provider for more details. This is a systematic process where the dentist or hygienist will investigate your mouth and teeth look for any signs of demineralisation, caries or defects. 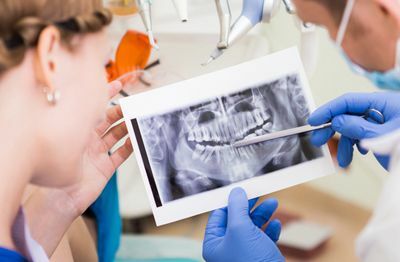 We will also inspect your filling and take x-rays so that a radiographic record of the teeth can be made. 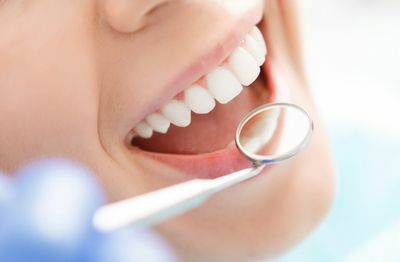 A regular dental examination is essential to treat any potential damage and avoid costly problems developing. BONUS: If you have private health insurance, you may be entitled to at least one free dental examination per year. Check with your provider for more details. Call us now for a chat, and we’ll see you as soon as we can.